subject. People are talking about it, and people are writing about it. 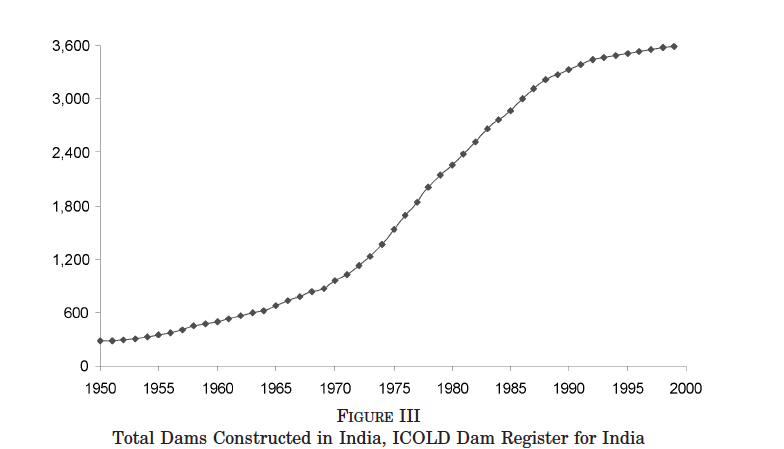 The World Bank, traditionally the primary source of funding for dam projects, acquiesces that, oh well, maybe dams in India aren’t such a great idea after all. In spite of extreme political pressure on the part of the Indian Government, they are withdrawing funding. World over, dams are being blown up. In India, however, we’re looking at more dams, more reservoirs, more displacement, and simultaneously, no dramatic decrease in droughts or increase in agricultural produce that can be attributed to dams. This is just me, writing with hours of research done in my spare time. Does the Planning Commission, dedicated to the “greater good” we all love so much, not have access to similar data? What about the Modi Government? Who recklessly accorded the lives of displaced Adivasis in downstream Madhya Pradesh with such acute dispensability? Who performs the cost-benefit analysis, and on what basis? I don’t know. But it’s time we got talking. Karunakar, P. P. (2012). Building of Large Dams and the Rights of Tribes in India. Fourth World Journal, 11(1), 27-41. Gupta, A. K., & Wang, H. (2009). Getting China and India Right : Strategies for Leveraging the World’s Fastest-growing Economies for Global Advantage. Jossey-Bass. Duflo, E., & Pande, R. (2007). DAMS. Quarterly Journal Of Economics, 122(2), 601-646. Newton, J. (2008). Displacement and Development: The Paradoxes of India’s Tehri Dam. Geographical Bulletin, 49(1), 19-32. Dams for electricity while monsoons fail!